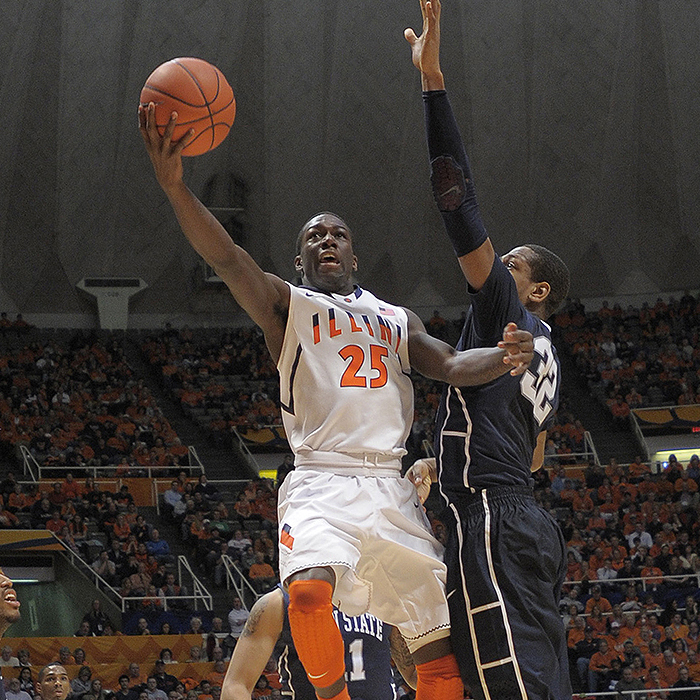 Illinois finished the 2013-14 season ranked 11th nationally in defensive efficiency. Illinois won its first seven games and finished non-conference play with an 11-2 record, highlighted by a Braggin' Rights win over No. 23 Missouri in St. Louis and fighting back from a 10-point deficit to win at UNLV. The Illini stayed the course during a difficult start to Big Ten play to complete a dramatic turnaround late in the season. Illinois won four of its last five regular season games, with three of those victories coming on the road - at Minnesota, at No. 18 Michigan State and at No. 24 Iowa. Illinois increased its win total by three during the second half of Big Ten play compared to the first, tying the UI's third best win-improvement during the second half of league play in the modern era. Illinois won its first-round Big Ten Tournament game for the second straight season and also advanced in postseason play, fighting back from a 17-point deficit to win at Boston in the first round of the NIT. Illini closed the season by winning six of its final nine games. The competitiveness showed through to the end, as the UI's losses in the Big Ten Tournament and NIT came by just one point apiece.